Another amazing nature’s phenomenon which also occurs in Lapland is the Northern Lights, also known as Aurora Borealis or Polar Lights. Northern Lights are a colorful phenomenon seen in the sky mostly at nights. The phenomenon of the Northern Lights is born at the height of about 100 kilometers. The shape and colors of the Northern Lights varies beautifully. One of the best ways to see this nature’s own art of Northern Lights is perhaps from a Glass Igloo at the Igloo Village. Want to see Midnight Sun and Northern Lights? Come to Lapland, Finland! 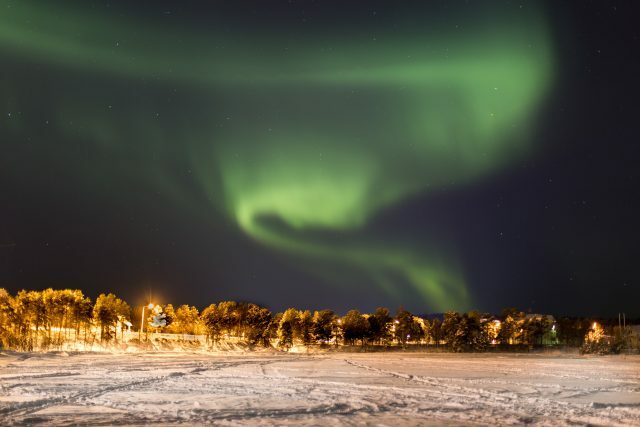 There are many companies in Lapland which offer Northern Lights Tours. If you want to be adventurous you can take your own trip to the wilderness and see if you are lucky enough to see the Northern Lights. There are many travel agencies which offer northern light tours in Lapland. Just keep in mind that there is no guarantee that the northern light appear on your tour. If it happens be happy and enjoy the moment!